Just when you thought it was safe to come out at night, that ugly word - annexation - rears it's head again! This afternoon the Orange County Register, in an article by Roxana Kopetman titled, "City services seen as lures to annexation", HERE, we are told that the Orange County Local Agency Formation Commission (LAFCO) has peeled the scab off this issue and formed a task force of members Peter Herzog, Charley Wilson and Costa Mesa's very own Supervisor John Moorlach to "develop guidelines and facilitate such transitions." 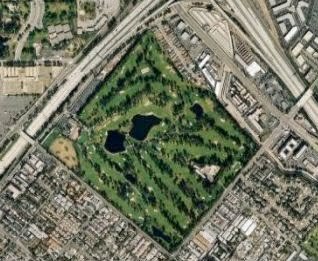 This article raises old issues about the islands of county property, including the Santa Ana Country Club, that Costa Mesa has tried to annex for years. Problem is, the residents don't want to be part of Costa Mesa - they want to be part of Newport Beach. Well, duh! My house is one block from Newport Beach. If we lifted it up and moved it two blocks east the value would increase by around 20-25%. I understand the issue with those folks. However, as a Costa Mesa resident I'd sure like to see those little islands of county property become part of our city - especially the Santa Ana Country Club. The property tax revenue alone makes this a very desirable potential acquisition. It's going to take a lot of PR on the part of Costa Mesa to make this happen. Maybe these new guidelines that will be conjured up by the task force will make for a smoother transition - which ever way it goes. ROEDER - "NO HOSTILE TAKEOVER"
Soon-to-be-retired City Manager Allan Roeder, according to the article, is not interested in imposing his city on the adjacent communities. He's quoted as saying, "This would not be a hostile takeover. We have no interest in doing that whatsoever." So, here we go again - one more little project to occupy the leadership of our city, which is now working with significantly diminished staff resources with which to fight this battle. 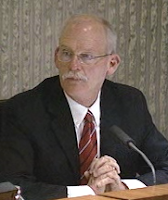 With the next Planning Commission meeting scheduled for Monday, Costa Mesa Planning Commissioner and current Costa Mesa Sanitary District Board member Jim Fitzpatrick, is on the proverbial horns of a dilemma. Ever since he ran and was elected to his seat on the Sanitary District Board last fall the issue of whether he can properly occupy both that position AND the planning commission seat has been debated. 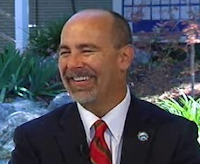 Recently now-lame duck contract City Attorney Kim Barlow opined that there is a legal view that he might not be able to occupy both simultaneously. She told the council in response to a question by Wendy Leece that if he is sworn in again as a planning commissioner and his ability to hold both seats is subsequently successfully challenged, he would have to give up the previous seat. 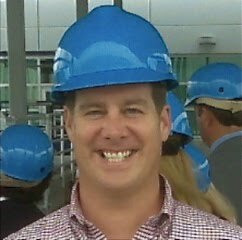 In that scenario, he would have to abandon the Sanitary District Board seat. Mayor Gary Monahan, who used a seat on the Sanitary District Board as a placeholder between tours on the City Council, strongly expressed his view that Fitzpatrick should be able to hold both seats. 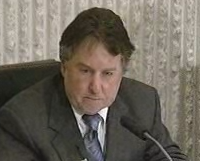 Monahan did for a couple years following his re-election. It's my understanding that there's some "fuzzy math" involved about the difference between the council and planning commission. IF Monahan legally held both seats it's tough to see how Fitzpatrick also couldn't, since the planning commission is subordinate to the city council. Now this coul d be a real problem for Fitzy, whom I referred to as "Sancho" above because he's been "Sancho Panza" to now-appointed councilman Steve Mensinger's "Don Quixote". We don't know if anyone is going to challenge his positions, but if he is forced to give up that Sanitary District seat it could cost him some serious money and benefits and other perks that go along with that seat. Of course, he could resign from the planning commission before he's re-sworn in for another tour and avoid that possible problem. I don't think he'll do that - I think he'll roll the dice and hope nobody challenges him. Should be interesting to watch. My first reaction when I read the brief Daily Pilot article (HERE) announcing the pending departure of contract City Attorney Kimberly Hall Barlow late this afternoon was, "Uh-Oh! I wonder what she knows that we don't that would cause her to bail out just as a new municipal administration is getting started?" At the recent study session a member of the public who fancies herself a budget watchdog of sorts pointed out to the council and audience that the city legal department - Barlow's domain - had been blowing through cash at a rate averaging more than $100,00 per month - well beyond their budget. It's hard to lay that directly at Barlow's feet since she responds to the demands of the council. She arrived at the meeting after that comment was made. I've watched Kim Barlow perform her duties from the remote viewing platform as a member of the audience. My personal contacts with her have been few and far between, but those were usually satisfactory. Only those privy to the privileged conversations between her clients - the council - and herself really know how effective she has been. She's served a long time as City Attorney through several iterations of City Councils and it's not as though she's a neophyte at this - she's served other cities as well. You will recall that I've warned you about what may happen with this new City Council. I've told you that I suspect we'll see lots more litigation, some of which might be directed at members of the council because of their apparent willingness to ignore the rules. I wouldn't be surprised at all if part of Barlow's reason for departing is that she doesn't want to be tarred professionally with the brush that's almost certain to land on some of our elected leaders. I'm not sure what's going on in City Hall these days... I continue to hear grumblings from a variety of sources about staffers being verbally abused by certain individuals. More recently I've heard rumblings about demands being made of staffers that may not be legal, and intimidation when those demands are rejected. It's difficult to tell how valid those grumblings are in light of the very obvious intent of some members of the council to disassemble our city government and turn it into a de facto haven for temporary help. It seems to me that most city staffers are nervous about their future - correctly so, in my view. It's my opinion that no city staffer - at any level - should ever follow instructions from elected or appointed leaders that they know to be illegal or a violation of city policy. Further, they should report ANY such request to their management AND the City Attorney immediately. Since the first week of January, when the new City Council was sworn-in and when the un-elected member, Steve Mensinger, was appointed, I've been very uneasy about the tack this group was taking. Barlow's departure doesn't do a thing to alleviate that apprehension. I can only hope that whichever member of the Jones and Mayer staff is appointed to replace her is a strong individual - one who will be able to provide strong, credible legal counsel to keep this group from driving our city into legal quicksand. In the meantime, I find myself wondering which senior staffers will bail out next. City Manager Allan Roeder will be gone early in March. We have no Police Chief - Chris Shawkey is on a paid administrative leave for unknown reasons - and his top Captain, Ron Smith, just retired under a cloud. We have no Fire Chief, nor are the next top two positions filled, apparently in anticipation of working out a deal with the Orange County Fire Authority. Former Fire Chief Mike Morgan, who recently retired, is across the border in Newport Beach as their interim chief. With the enhanced retirements over the past couple years much of the institutional knowledge of our city is, or will be, gone. This doesn't make me sleep very well at night. I grabbed this shot of Roeder at the recent study session. Tell me, do you think he's praying for the future of our city... wouldn't be surprised. Well, that normal "one hour" meeting ended up taking almost three! And, while most council study sessions play to a crowd of, maybe, a half dozen people, this one was attended by at least 85 people at peak attendance - most of whom were employees. The decision to hold the meeting in council chambers instead of the cramped quarters in Conference Room 1A proved to be a good choice. Following a brief period of public comments, in which budget gadfly Judi Berry told the council that she remained concerned that the City Attorney's office was blowing through an average of $100,000 per month, Mayor Gary Monahan set the tone with his opening remarks. He told us we were "going see some very familiar and some very new financial facts and figures. Some will be very disturbing. As we move forward with our eyes on a fiscally-solvent five year plan we will need to recognize and reverse some of the financial trends we have been dealing with the past few years. It's not a surprise, but "business as usual" will not be sustainable. Having been on this city council twelve of the last fourteen years, I personally bear much responsibility for actions taken over those years. Suffice it to say that some of these actions have directly led to some of our difficulties that we now face...." He went on to compare Costa Mesa to Ronald Reagan's "shining city on the hill" and told the assembled throng that we would all have to pull together. Let me make an editorial comment on the meeting in general before going on to specifics. We heard a lot of numbers - many of them not new - and a lot of gloom and doom mixed with the occasional attempt at cheer leading. I heard nothing that told me this new council was not intent in a major restructuring of the city using layoffs, outsourcing and complete elimination of departments and services - quite the contrary. For example, in response to a question from Wendy Leece for clarification of his definition of just what "outsourcing" meant in the context of his discussion, Mayor Pro Tem Jim Righeimer said, "I think we have to look at every duty that the city does that can be done from an outside source, not done by a city employee." Monahan subsequently said, "I don't want anyone to take away a goal that we want to outsource the entire city." Since those two very divergent statements were made by the top two elected officials - the two members of the Budget Work Group - within minutes of each other, it's easy to understand just why there is apprehension among many members of the city staff. A little later Righeimer told the audience that he was already reaching out to department heads, looking for ways to change operations and to improve the way things are done. He encouraged the employees present to let him or any other member of the City Council know if they have ideas about the way things can be improved. That, of course, brings up the issue of potential Brown Act violations. You will recall that City Manager Allan Roeder cautioned the council at their last regular meeting that the formation of sub-committees makes the possibilities of Brown Act violations much more possible. Righeimer's suggestion is a perfect example of how we could be getting into trouble in this process. One message that kept getting a lot of play at this meeting was the fact that the City is almost out of cash. Righeimer used it as the back beat to several of his messages. Based on information provided by Budget and Research Officer Bobby Young, it was posited that in November - before we receive our Property Tax revenue from the State - we could be down to $5 million in cash reserves. However, as I understood the discussion, that doesn't take into account the emergency reserve of $14.125 million nor the $10.8 million loan to the Redevelopment Agency. I'm not trying to make light of what appears to be a "cash" problem, but there are some folks who will hear that $5 million number and immediately begin to hyperventilate. 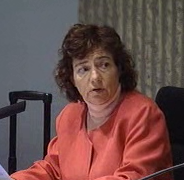 Speaking of which, the discussion of the future of the Costa Mesa Redevelopment Agency was interesting. Since nobody really knows just what old/new Governor Jerry Brow n has in mind for redevelopment agencies it's difficult to plan. However, much discussion was given over to the wisdom, or lack thereof, of having the Redevelopment Agency repay the $10.8 million loan to the City by refinancing that amount in today's market. Eric Bever asked a question that's been rattling around in my head, too. He wanted to know just who would be lending money to ANY redevelopment agency in light of the Governor's rumblings about folding them up and re-claiming the cash? I never did near a good answer to that question. It seems inevitable that the Police Department will soon lose the two officer positions it's been holding open for several months. While that's irritating but understandable, more disconcerting for me is the fact that the new, impatient council seems determined to micro-manage every aspect of city government by taking any flexibility out of the hands of managers. For example, it has long been city practice to leave positions open when they occur until and unless the managers and department heads can justify the need to re-fill them. This provides a very significant level of management flexibility and actually has been an effective budget management tool. It seemed to me, based on the discussion, that Righeimer and Mensinger were eager to have EVERY vacancy immediately dropped from the roles as they occur and thereby force managers and department heads to jump through unnecessary hoops to later fill them. 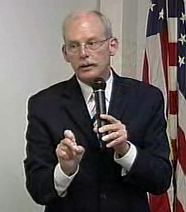 The discussion of C alPERS numbers - future rates and unfunded liability - was dismal. Young provided graphic information that only seemed to fuel the fire in the bellies of the pension reform cabal on the council. They were not dissuaded by the facts of recent employee participation in the pension contributions, seeing only the bleakest possible downside. In fairness, the numbers are staggering and the charts that showed recent climbs in liabilities that looked like a Space Shuttle launch only emphasized that point. There is no doubt in my mind that Young's presentation is going to form the cornerstone of near-term attacks on employee retirement plans. The easiest way to solve those "problems", of course, is to get rid of the employees who are earning them. I saw nothing in the discussions that gave me hope that negotiations were planned in the near future. I think it will take a major initiative by the employee organizations to get this council to the table. 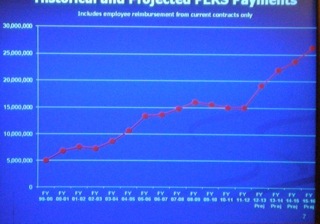 In her formal presentation of the "Noticing" requirements for layoffs and/or outsourcing she told the crowd and council that in the case of Layoffs and complete elimination of services a 30 day notice is required and conferences with the bargaining units must be held regarding potential reorganization. In the case of outsourcing a 6 months notice is required. See above for my comments on outsourcing. Tuesday's Study Session A Bellwether Of The Future? Tuesday, February 8th, the Costa Mesa City Council will hold a Study Session in Conference Room 1A at City Hall beginning at 4:30 p.m. Normally these meetings last an hour or so. This one promises to be much, much longer because of the nature and number of items to be discussed. As you may know, the council can take no votes on items discussed in a Study Session. They hear staff reports and discuss the issues on an informal basis. They also hear very limited public comments due to the normal time constraints. If any of the issues discussed on Tuesday are to be officially acted upon they must be agendized for an open City Council meeting - the next one is the 15th - at which time a public hearing will be held and full public participation is permitted. There are no staff reports available for Nos. 1, 4 and 7. As you look down that list you'll certainly realize the significance of each of them. In previous years this particular session would just be a discussion of the budget. Not this year - not with the new council. This year this session will amount to a "machete-sharpening" event, in which our impatient council members appear ready to begin thinning the city staff with something well-short of surgical precision. Take #2, for example. 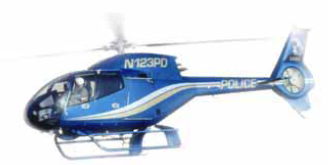 Although, according to the staff report, HERE, Costa Mesa has had helicopters for more than forty years and has been operating the joint venture - Airborne Law Enforcement (ABLE) - with Newport Beach for more than fifteen of those. It also contracts with the City of Santa Ana to provide helicopter coverage for a fee. I think it is safe to say that most folks in local law enforcement view ABLE as a tremendous asset to the cities it serves. It is a "force multiplier" that has enhanced law enforcement operations since its inception. However, the benefits notwithstanding, the City Council Budget Working Group (Mayor Gary Monahan and Mayor Pro Tem Jim Righeimer) have decided that it must go and are recommending to the full council the dissolution of the program. If the council decides to proceed with the dissolution of ABLE, and thereby lessening the effe ctiveness of three police agencies in the process, it will incur some significant costs. Among those are the lease on the hanger for which there is a $13,000 per month obligation with no early termination clause. This could cost over $190,000. There is also a contract with the Santa Ana Police Department, which requires a termination notice by March 1, 2011. Costa Mesa would transfer four officers from ABLE - one commander and 3 pilots - each of whom will have bumping rights that would likely result in the layoffs of 4 junior officers. The three mechanics that are part of ABLE are Newport Beach employees and their futures are unclear should ABLE be dissolved. While one would hope such a very significant move would be the result of calm, reasoned consideration by our elected leaders, it sure seems like this is a done deal - without public comment. You will recall I warned you about this crew from the very beginning. This is just the beginning. Item #3 deals with the potential deletion of two (2) open Police Officer positions that have been kept open for four (4) months. IF the City Manager and Acting Police Chief Les Gogerty can agree on a restructuring of the department as a result of the permanent loss of those two positions and IF there is a satisfactory result in the statutorily-required "meet and confer" with the police bargaining unit, the abandonment of those positions would represent a savings in this fiscal year of around $200,000 according to the staff report, HERE. Of course, if they decide to outsource our police activities (see below) it won't make much difference, will it? 1 - Is the City required to give notice to each bargaining unit before issuing layoff notices to its members? YES, and she cites the reasoning behind that answer. 2 - Is the City required to be specific as to the service/program being considered for contracting out? In other words, can the City Council issue a blanket notice to all employees of its intent to contract out all services to keep all options open? NO, followed by a lengthy explanation. 3 - May the City withdraw its notice at any time over the 6 months' notice period? WHAT ABOUT SERVICE TO THE RESIDENTS? Dumping the "pension problem" by outsourcing services seems to be a ham-handed way to solve that problem. As yet unaddressed is how The City will assure quality services to the residents following any outsourcing efforts. I'm especially concerned about what will happen with public safety - Police and Fire - if those functions are outsourced. If the Orange County Sheriff's Department and the Orange County Fire Authority were to take over servicing Costa Mesa we lose any semblance of control. We would be subject to staffing decisions made by county officials with their priorities in mind, not ours. Item #6, the Redevelopment Agency Update, is being presented because old/new Governor Jerry Brown has been making big noises about folding up Redevelopment Agencies state-wide, and sucking up that cash into the state's coffers in an attempt to balance the budget. 1 - What is the Status of Governor Brown's Recent Proposal to Eliminate Redevelopment Agencies in California? 2 - What is the Status of the City of Costa Mesa Loan to the Costa Mesa Redevelopment Agency (RDA)? 3 - How Much Money is Unencumbered in the Redevelopment Agency's Budget for the Downtown Fund? Please refer to the staff report for the detail in the responses. While there are specifics as to the numbers in items 2 and 3, number 1 is the great unknown. I fear the impatience of a majority on the City Council may drive us into significant legal entanglements as they rush to "do something" about the budget - and serve their own personal political agenda at the same time. As each day passes it's becoming clear to me that the impatient majority has already decided a very specific course of action - to resolve the "pension problem" by disposing of the employees who carry that obligation. There are many facets of these issues that have NOT been thoroughly aired and made available for public comment. 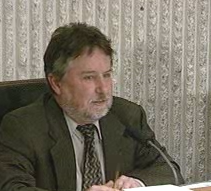 With four members of the council clearly operating in lock-step - and with the strong possibility of Brown Act violations as a result of their mismanagement of their "sub-committee" scheme - there is every likelihood that many of these major decisions are going to be a fait accompli before any resident has a chance to address them with the council. Personally, I'm not too happy with the idea of our municipal fiscal future being decided by the mayor and mayor pro tem and a bunch of their cronies over a few beers at the mayor's gin mill. I urge the City Council to throttle-back their self-serving agenda a little and take the time required for reasoned discourse on these issues before charging off like the Sooners in the Oklahoma land rush. Effective management of our city demands resident involvement and mature, calm deliberation. They simply cannot run around like the Queen of Hearts, shouting "Off With Their Heads!" and properly serve the needs of the people who elected them.